HSS Beer Fest|Moondog Growlers' Home Brew Competition! 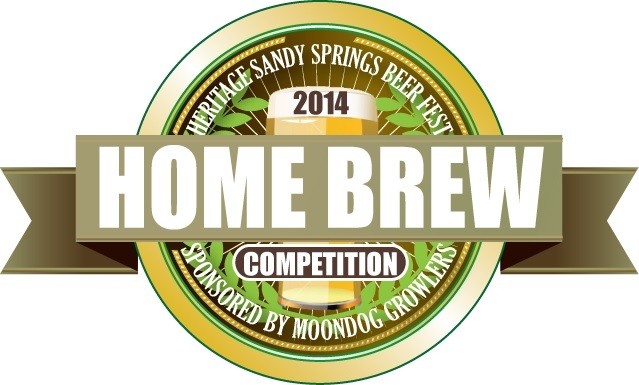 Heritage Sandy Springs Beer Fest | Moondog Growlers’ Home Brew Competition! Heritage Sandy Springs Beer Fest will be back Saturday, April 26th from 4 p.m.-8 p.m. with great local food, live entertainment, and of course delicious craft beer! Brewery’s you can expect to see at the festival include Allagash, Anderson Valley, Boulder Beer, Westbrook, Terrapin, Sweetwater, Stone, Oskar Blues, and many more! But beer connoisseurs, HSS Beer Fest has an extra special surprise for you! The festival will feature a Home Brew Competition sponsored by Moondog Growlers. Homebrewers embody the creativity and spirit represented in the craft brewing industry today. Here’s your chance to share the next great beer recipe with the world! – The Grand Prize Award for Best of Show will be an invitation to Red Brick Brewing to work with them to produce the award-winning brew! That beer, when ready, will be featured at the – Red Brick tap room during a “one off Wednesday” evening. Send in your application today! All entries must be received by Saturday, April 19th and can be dropped off at any Moondog Growlers location! Regular festival admission is $30 in advance or $40 at the door and includes a commemorative souvenir and $5 food voucher. Final Weekend for Race, Mind Body & Soul Expo Saturday, 3/22!